Andrejs Selickis (b. 1960) is a singular, idiosyncratic phenomenon among Latvian composers. As with Arvo Pärt, Selickis’ work is inseparably linked to his faith, which has found a deep and unique expression in his distinct style. Iconic symbolism, sacred archetypes and the ecstatic experience of God’s presence are the keys to his music. 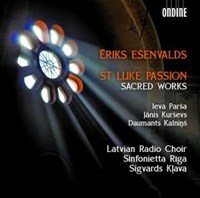 This new recording by the Latvian Radio Choir includes choral works by Selickis. Conductor Sigvards Klava has enjoyed friendship and artistic collaboration with the giving premieres to several of his most important vocal works. Andrejs Selickis grew up and studied music in Latvia, when a crucial meeting with Arvo Pärt took place in the 1970s. Arvo Pärt became a mentor and an example for the composer, both in life and in music. After Pärt emigrated from the Soviet Union, Selickis’ found new home in his church. Selickis has worked as an independent artist since graduating from the conservatory. He lives in Riga and serves as a regent, liturgist and psalmist in various congregations of the Church. In 2015 he was awarded the Latvian Great Music Award, the highest state honour in music. The creative collaboration and friendship between Sigvards Klava and Selickis began in 2012 with the Litany to Mother Teresa, the first composition with which Andrejs Selickis entered active concert life. Together, Klava and Selickis have studied and sung Old Believer chants and have also set out pilgrimages to various monasteries. 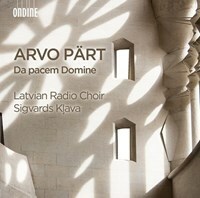 The present album serves as a resume of the creative collaboration between the Latvian Radio Choir, Sigvards Klava and Andrejs Selickis. ?The Latvian Radio Choir (LRC) ranks among the top professional chamber choirs in Europe and its refined taste for musical material, fineness of expression and vocal of unbelievably immense compass have charted it as a noted brand on the world map. The repertoire of LRC ranges from the Renaissance music to the most sophisticated scores by modern composers; and it could be described as a sound laboratory – the singers explore their skills by turning to the mysteries of traditional singing, as well as to the art of quartertone and overtone singing and other sound production techniques. The choir has established a new understanding of the possibilities of a human voice; one could also say that the choir is the creator of a new choral paradigm: every singer is a distinct individual with his or her own vocal signature and roles in performances. Sigvards Klava is one of the most outstanding Latvian conductors, also a professor of conducting and producer, music director of the Latvian Radio Choir since 1992. 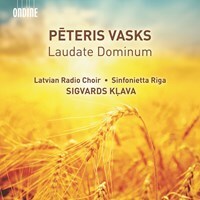 As a result of Sigvards Klava’s steady efforts, the Latvian Radio Choir has become an internationally recognized, vocally distinctive collective, where each singer possesses a creative individuality. 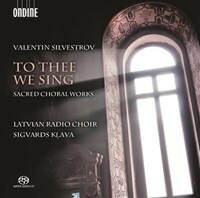 Under Sigvards’ guidance, the choir has recorded a number of choral works by little known or completely forgotten composers of the past, as well as formed a friendly collaboration with a number of notable Latvian composers. Sigvards Klava is a professor at the Jazeps Vitols Latvian Academy of Music. Klava is a multiple winner of the Latvian Great Music Award. Hvis du liker Paradisus vocis, fortell det gjerne til vennene dine! Du kan raskt og enkelt dele denne siden på Facebook, Twitter eller e-post under.